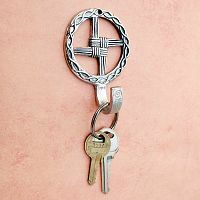 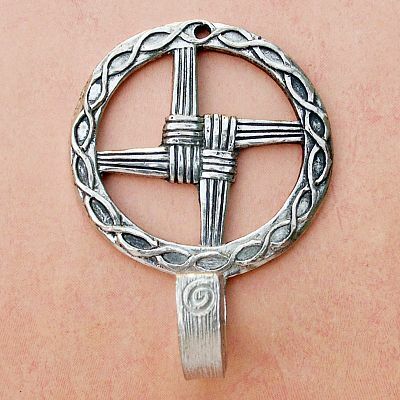 - Traditionally, St. Brigit's cross was woven from rushes, and hung above the door to ensure good health and prosperity. Our pewter version captures the magical intent of the original, and it's practical as well. 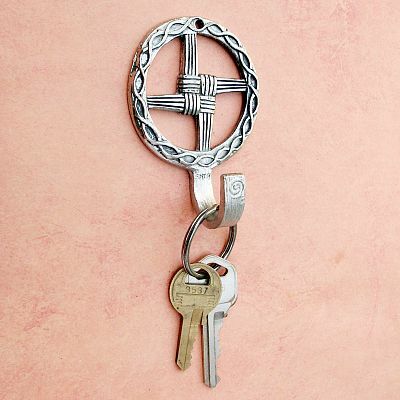 The wall hook is just the right size for holding keychains, drying herbs, or whatever. Approximately 3" x 2 1/4". 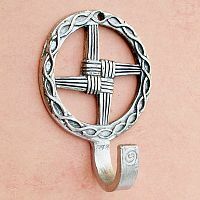 Do you have any other questions about our Brigit's Cross Wall Hook?